Coffee cupping is the practice of using the senses to experience the quality of a particular batch. Doing this within a group of people creates a dialogue of different perceptions of the roast’s aromas, taste, and especially flavor notes. Coffee cupping is a delicate process involving several steps. As a participant of ASIP’s coffee tasting, I was delightfully guided through how to classically experience a batch of single origin Brazilian coffee from the roaster himself. Also, with no prior knowledge of coffee tasting. First, I and group I was tasting with began with a brief introduction of the background of the coffee and what we would be experiencing that night. When people think of Brazilian coffee, they might assume that it’s taste is more on the chocolatey side, partially due to coming out of a darker roast. That assumption is mostly true. Brazil in the 1920s provided 85% of the world’s coffee supply. Even today it is the world’s largest producer of coffee at 35%. Because of this, coffee from Brazil became more of a large commodity. The amount in which they produced inevitability lowered the standards of the type of harvest and roast they use than what would be compared to a special coffee. Thus, Brazil aligns with working with darker roasts to remain consistent in their flavor. But for the first time, I learned that coffee can be so much more beyond this. The bean we tasted during this particular cupping was special in itself because it stands apart from the most common green coffee bean. This bean was yellow before it was roasted. It grows in southeast Brazil around 1,200-1,400 meters above sea level. 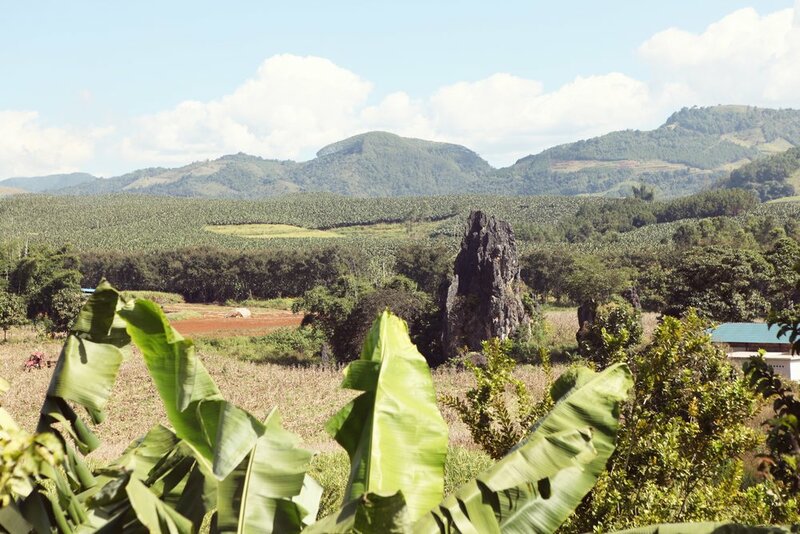 Most specialty coffees at the baseline are grown around 1,200 meters and above. The higher in elevation, the better access to unique and lush coffee flavors. There are many other factors that attribute to the aroma or the flavor of coffee. One of those being elevation. Elevation affects the taste of coffee because higher up the coffee beans grow, the more sunlight they must absorb, thus the denser they become. Dense beans become much more fuller of sugars and flavor precursors. This holds to have a more expansive landscape of flavor after roasting. When tasting, we were given a reference for describing taste on a taste color wheel. Ranging from categories of chocolate, citrus, vanilla, nutty, spice, fruity, and much more. It was interesting rotating the same batch of coffee with different people to smell or taste, and coming back with varied feedback of our experience. The most exciting part was finding common ground on a certain coffee. When we all collectively realized it carried the flavor note of raspberries or almonds, it was an exciting confirmation. The process by which I experienced coffee expanded. I began to fully understand the complexity of the layers upon layers the smell and taste of coffee hold. Presented two us were two batches of coffee from the same origin, just roasted slightly differently. The first one was a lighter roast, holding more dimension of the fruity raspberry flavor the bean absorbed from the berry when it was growing, and when it was dried. The second batch was roasted for longer, therefore losing a bit of the “juicy-ness” the first batch carried. I could taste the chocolate and almond undertones brought out by the darker roast. I was more accustomed to this type of coffee, so immediately I gravitated to this batch. But after more understanding and sampling, the first batch became increasingly a more interesting experience. A type of coffee I could sit down and could fully enjoy a cup of without instinctively adding milk and sugar. The first batch even reminded me of something spicy, like chai. But also citrusy like oranges. I was learning to taste. Which is something I thought I would never learn to do. 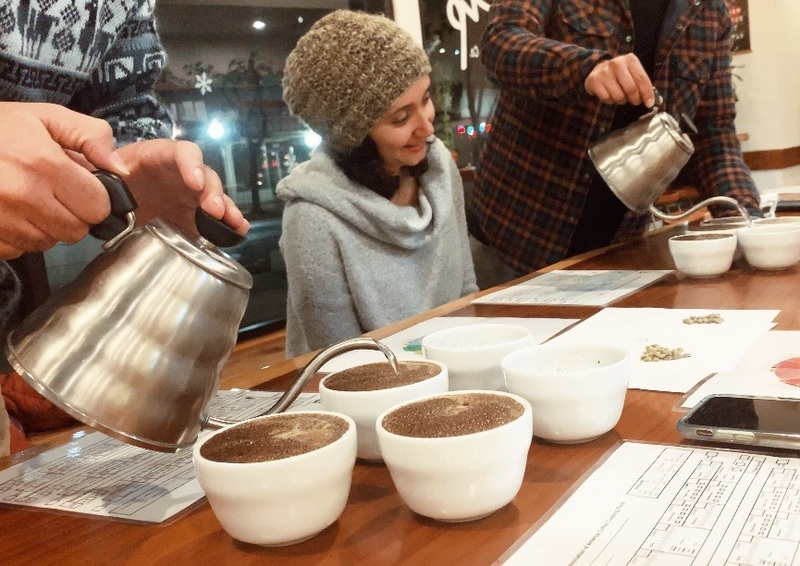 ASIPs coffee cupping turned out to be an in-depth artful learning experience even the regular instant “cup of Joe” coffee drinker can realize and appreciate. I knew that ASIP brings the experience of specialty coffee to Merced, but better yet, this establishment opens the knowledge to it even more. Our owner Justin is super stubborn when it comes to drinks. He might turn customers away saying: sorry, we don’t have any artificial flavoring. And now he is making pumpkin spice chai🎃 at home. Next day, take out the cinnamon sticks and tea bag. 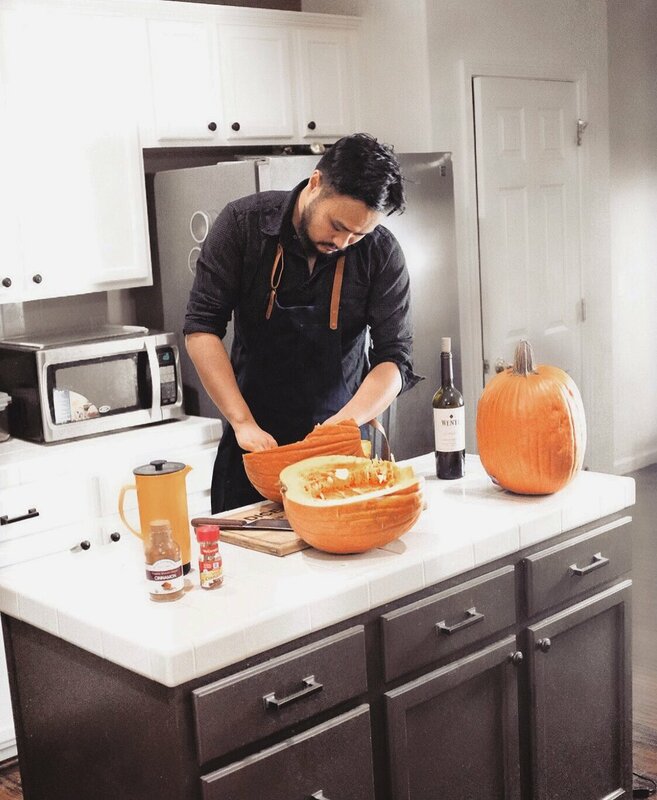 blend the pumpkin soup in a blender till no visible big fibers. Store in refrigerator for future use. During the trip to Morocco, our owner Justin was fascinated by the lifestyle and coffee culture there. "They only drink espresso; they add tons of sugar, and they never ask for to-go," Justin said. Don't feel awkward when you walk on the street in Marrakech's old medina and being stared at by locals sitting on the table all facing outside and sipping their espresso. 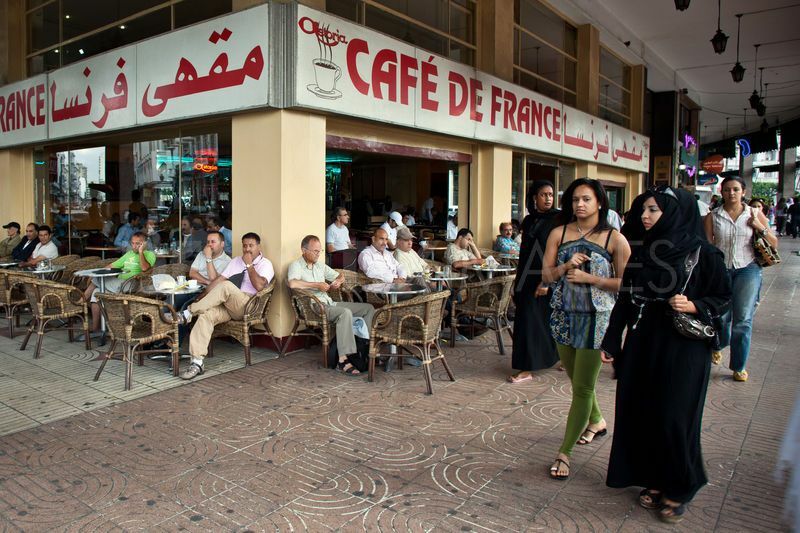 Every afternoon, Moroccans will go to their regular cafe and spend at least one hour relaxing and socializing with others. No WiFi, no computer, no phone call, just chat and laugh. A cafe is their so-called second home. Sadly, Justin does not speak either Arabic or French, when all men in the cafe trying to invite him in so bad that they start to speak Chinese, Japanese and Korean in the mix. The espresso they have is a dark roast, with very heavy crema. Sugar cubes are provided on the side. It is 10 dhs each ( about one dollar). Not a big fan of dark roast, also cannot lie, Justin started to like it after a few days. (Still cannot believe why.) When a Moroccan next to you slurped his drink and closed his eyes enjoying, the fences built up high by Justin's coffee knowledge all of sudden were torn down. What's really a good cup of espresso? made with accurate ratio? made by a barista champion? made from best quality of coffee beans? The answer is made for people who truly love it. coffee people, people's coffee, never forget. Justin realized that one thing we can certainly all agree is that among all the countries with the high demand for coffee, the United States is proved to show the least care and appreciation of coffee. Some remember the WiFi passcode for a coffee shop better than the drink they ordered last time. Drive-through is everywhere, whip cream is on top of everything. Maybe we are fast paced, but please don't treat coffee like this. Life is short. Coffee is just a moment. we'd better enjoy it. Regardless of the maze of streets inside of the medina in cities of Morocco, Justin enjoyed every single second of feeling lost. Google map would not help you find a happy encounter with a street cafe, a hidden gem at the corner of the Sahara Desert. Let's put a smile under the sun, and let your espresso shine along. It's cold outside, windy, rainy, cloudy. It's March already. Please come inside, we serve good coffee, hearty, flowery, dreamy. In this month, We hosted our second free coffee cupping event on the 5th. Glad to see more people show up and experience tasting with us. Our main focus was on the regions. We served four sets of cupping, all the way from Colombia to Ethiopia to Peru to Congo. Everyone was able to distinguish flavour notes from each region of coffee beans: the nutty Peruvian, floral Ethiopian, the citric Colombian and the all-around Congonian. All we know is that there are many people around the world devote themselves into this industry and work so hard from farm to shop, from seed to cup, just to make sure every little bean shines. We should stay cherished for all the resources we have. Also in this Month, our roaster and owner Justin attended " night of 1000 pours" latte art competition by Equator Coffee from San Francisco. All the money was raised to help support ACLU of Northern California. 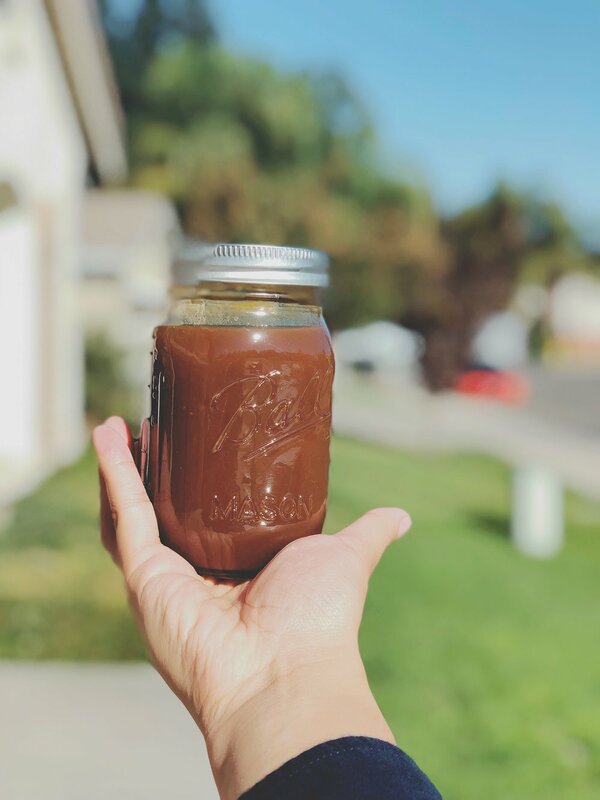 Even though Justin did not win, he realized that coffee was actually very powerful when a knowledgeable community started to be aware of people's need, and utilize coffee to do something even bigger. 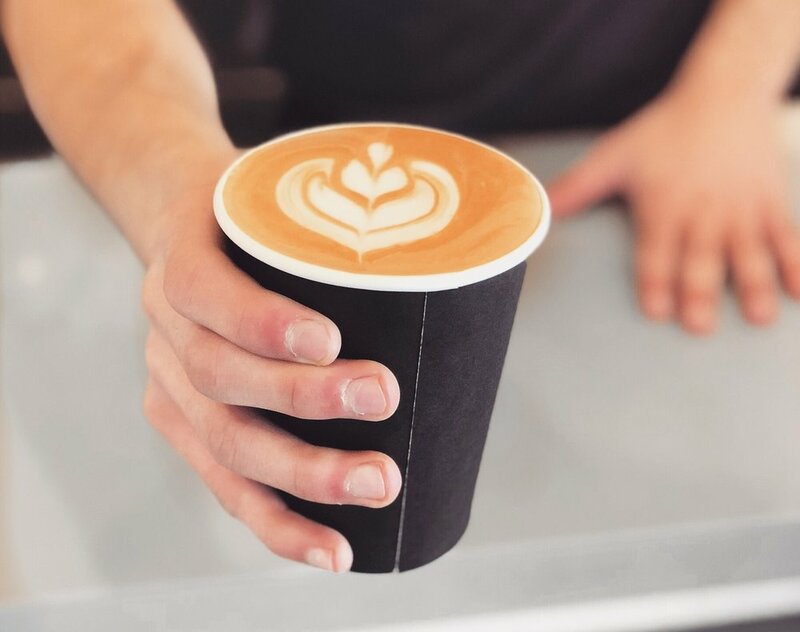 As the first speciality coffee shop in Merced, it's somehow our responsibility to provide the opportunities for our lovely local people to try good coffee from all around the world, without covered by sugar, creamer and additional flavourings. Next, we will announce our third coffee cupping event, since we just got some amazing beans from Yunan, Fuyan China. It is very rare for a coffee shop to carry coffee beans from China. There is not much research for this region. When people talk about Yunan, the first word that comes out is Pu-er, the hall-of-fame black tea. Yunan does not have a long history of planting coffee trees either. 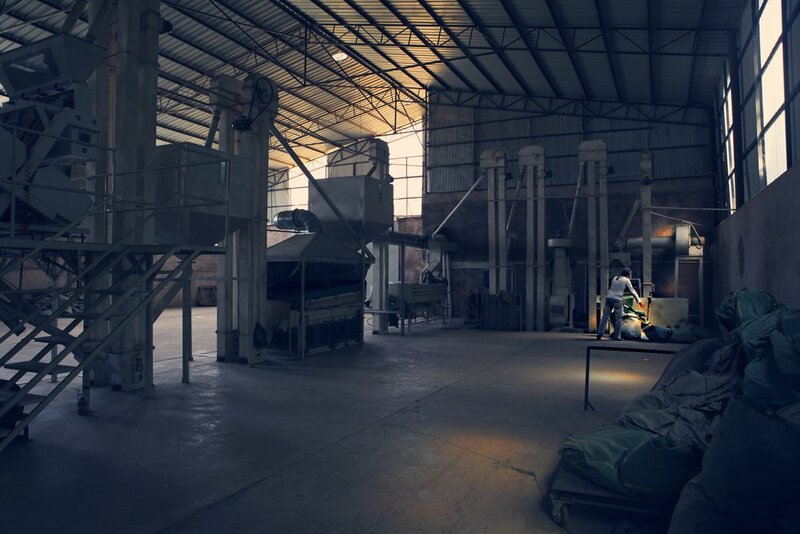 Roaster Justin has been negotiating with the importer that works directly for this Chinese coffee farm for a while. After receiving a sample size of green beans from them, he roasted using the profile of his Colombia. he was absolutely stunned after cupping. "The most chocolaty beans so far..." he said. If you sign up for our upcoming coffee cupping event, you will have a chance to taste this bean before it is released. It is windy and gloomy outside, but please remember to have a cup of coffee, to smile, to create your own sunshine. The only universally recognized language is coffee. All you need to do is just to let coffee talk. February is the month of transformation from winter to spring, from Mexican hot chocolate to ice matcha latte. We love how our store became one of the centrepieces of Merced, and really attracted people to hang out more often in downtown, which has been quiet in recent years. Our roaster Justin went back to his hometown Suzhou, China for two weeks and got his third book 《叁》published. Unfortunately, It is in Chinese, since many of our customers asked about this book. In the future, he might spend some time translating it into English. If not, would it be nicer to just try more of his freshly roasted coffee beans, since there is always a story behind a cup of coffee? Just like his book. We will be hosting our second coffee cupping event on March 5th. all the tickets were sold out within five hours. in this event, Justin will prepare five sets of coffee beans from five different regions: Ethiopia, Peru, Congo, Nicaragua and Colombia. He will use different roasting profiles that are best for each bean. We do not talk much, we let coffee talk, let it shine from inside out. Here is the interview with our Owner and Roaster Justin. For more information about our cupping event: https://www.asipcoffee.com/events/3/5. It's been a really fun and lively January so far. Our downtown district was bustling with activities, such as Art Hop and UC Merced Campus Centre Ribbon Cutting. More and more new faces had stopped by after new year and quickly turned to be our regulars. Coffee is a language. Wherever you are from, whatever accents you speak with, as long as you say it, we can all understand. "can I just have a cup of Joe?" "sure." We hosted our first coffee cupping event on January 8th. it was very successful. The topic was about the roast. Our Roaster Justin used our well-known Peru Norandino beans and prepared a set of eight different coffee cups ranged from very light roast all the way to very dark. After tasting, we all agreed that the No. 3 and No.4 (light to medium roast) had some better flavour notes. It is not just a cup of Joe. Isn't it? For us, It is important to give back to our community, not just free drinks, but the knowledge and beauty behind that drink, the priceless memory. In the future, wherever you go, whatever coffee shop you stop by, you know what you truly enjoy. Life is no better than sitting at a coffee shop's corner, on the brighter side, drinking a cup of cortado with rich flavour notes of cherry, passionfruit, and jasmine flower. What's coming up? we are planning to have our first live music event in two weeks. We had very nice conversations with our local musicians this week. We were amazed how talented our Merced locals are. Hopefully, with the connection we built, we can provide the stage for them on a regular basis. Merced downtown needs audiences, and we all know that. So we bond together with our lovely neighbours, such as Little Oven Pizza, 17th Street Pub, and thrive to improve each and every day. Do not argue why there are still empty spaces everywhere in downtown. Take a sip of coffee, and look into the mirror, yes, we are our own heroes. We can make Merced better, but first, Coffee. First of all, Happy New Year Everyone!! Hope you all had a wonderful break. All we need is to take a break and walk away, with just you and your loved ones, to somewhere or just in the middle of nowhere, chilling. Coffee helps create this fantasy when you just have a sip of it. Take down your burden from school or work. Not like alcohol, Coffee makes you feel good at the moment and even better afterwards. Surprisingly, we sold out our coffee beans in-store in just a week. It was so wonderful when you brought your family and friends a bag of freshly roasted beans as a holiday gift. Our Roaster Justin had to roast more beans on his off day just to catch up consumer needs. We also sold tons of our gift cards on site. It has been an amazing holiday week for us. This week, Roaster Justin imported some beans from Congo and Nicaragua. The Congo beans drew his attention the most with strong aftertaste of honeydew. Normally African Beans present the flavour of berry. This one is definitely on the fruity side, with strong honeydew and slightly passionfruit lingering in the mouth, Justin said it is the most interesting cup he ever tasted after his roast. Still, under experiment before largely used in-store, Our Congo is now online, and soon will be available on the shelf. Feel free to grab one online and let us know how you think about it. Next Monday, we will be hosting our first coffee Cupping event. The topic is about the roast. Unfortunately, tickets were all sold out in two days, so if you are interested, please stay tuned, hopefully, we can manage the time to have cupping event every month. Coffee has the power to take you to anywhere, just believe. Simply order online and we roast the coffee beans for you. The freshness is King. Our New Peru Norandino beans are now available both in-store and online. We thrive to get better each and every day. Our grand opening is great. We gave away our 100 goodie bags in one hour and everything ran smoothly. Finally, We set our grand opening day on Thursday, December 7th. A roughly two and half weeks of soft opening really helped us to learn what our lovely local people in Merced really like about coffee and knowing what we need to fix ahead of time. Our reviews on Yelp and Facebook have been great. Really appreciate the suggestions people gave us and we definitely took all of them into considerations. It is still a dream come true. Having a speciality coffee shop in Merced automatically sorted us into the category of pioneer business, in which people are willing to take challenges to do something that has never been done before. A small coffee shop like us has sensed the difficulties when people try to compare us to Starbucks. However, we still enjoyed the first couple weeks of opening, to have more and more people coming back and being our regulars. Never forget who we are and why we started this. Eventually, the hard work will be paid back. If not, it will still be a blessing to see people talk about your coffee beans before adding sugar and cream. Gladly, We are in the golden age of the Third Wave Coffee. It is the movement to produce coffee with higher quality and treat coffee as an artisanal foodstuff, like wine, rather than a commodity. I believe it will not take too long for that day to come in Merced. By that time, people sit down under the sun on Main Street and experience the way coffee should be enjoyed, rich varied flavours brought to your palate by people who want to share the pleasure of coffee’s variety. Caffeine may speed you up, but enjoying it can slow down your world. On Monday, our roasting day, Roaster Justin started his first roast of decaf coffee. 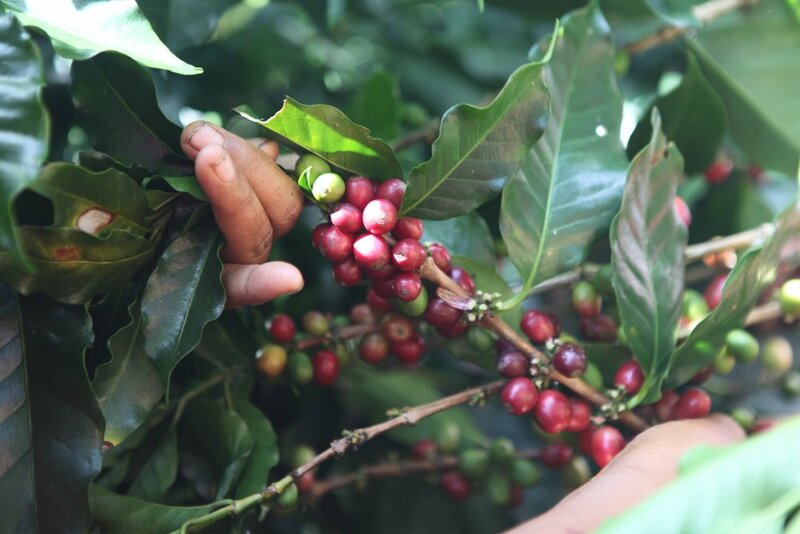 The beans from Guatamala Huehuetanango had been decaffeinated by Swiss Water Process(SWP). SWP is an innovative, 100% chemical free decaffeination process removing caffeine for coffee roasters around the world. Decaffeinated beans are also harder to roast because of their high moisture content. Justin realized that the decaf bean hit its first crack surprisingly fast. At about 5 minutes, the beans entered maillard stage and at 7:02, the first crack happened. Justin quickly turned down the gas to 20 percent on his Geisen W6a, which actually helped extend the development time to around 15.2 percent of the whole roasting process. The beans in the cooling tray looked dark brown and had nice toast caramel aroma. the flavor notes he found from cupping are smooth, caramel, slightly citric, cinnamon, overall a very balanced refreshing taste. And then Justin finished two more batches of our Colombia Narino and Ethiopia Guji. He Roasted them in a slightly longer time in order to reach light-medium roast range. It turned out really settled and refreshing with additional chocolaty note, comparing the beans he roasted a week ago. Our soft opening was great. And now we thrive to make things better for our grand opening. Justin will roast more beans from other regions, like Panama, Congo or Tanzania. Hopefully he can roast a blend just before the holiday. After a long week of roasting, Roaster Justin decided to set a schedule for soft opening on Thursday, November 16th, 2017. We did not advertise and announce for our "big day", just to really test the water of how opening a specialty coffee shop in Merced will look like. At 5:30 AM, We started to prepare pastries and coffee. It was dark, cold and quiet outside, only street lights and neon from the Cinema next door stayed on. Coffee began to drip down into our batch brew machine. The brewed coffee aroma mixed perfectly with the smell of freshly baked croissants out of the oven. At that moment, we knew everything should be just fine. Then, our business ran smoothly and more and more customers started to come in and check on us. We nicely explained the difference between us and franchise stores like Starbucks. The light roast coffee flavor notes started to hit our customers in a surprising way. No more bitter smoky taste, but acidic and sweet aftertaste lingering. Sometimes, all we need to do is just go get them and do not wait. Coffee is something that you are kind of knowing it, but never 100 percent knowing it. we thrive to learn more and get better each and every day. One thing we are one hundred percent sure is that we all love coffee.